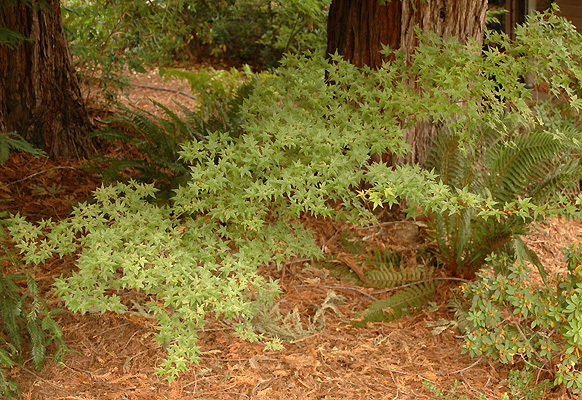 Deciduous shrub or very small tree, may mature at about 6.5 ft (2 m), almost as wide as tall, twiggy with age. 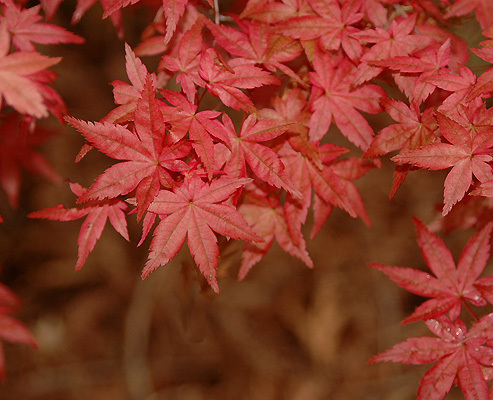 Bark is reddish brown. 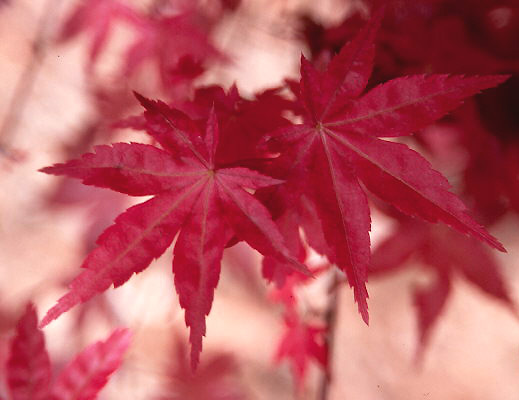 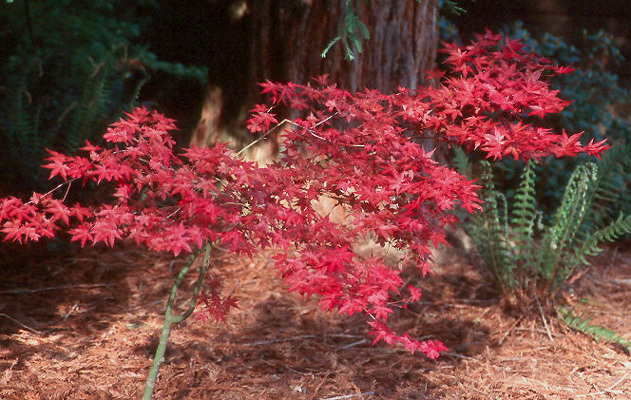 Leaves simple, opposite, small, 3-4 cm long, 7(5) lobed, leaves on vigorous shoots may be 6-7 cm long, in spring foliage is flaming scarlet or crimson scarlet, the color is retained for about a month, then reddish green to dull green in mid-summer, fall colors are reds and orange. 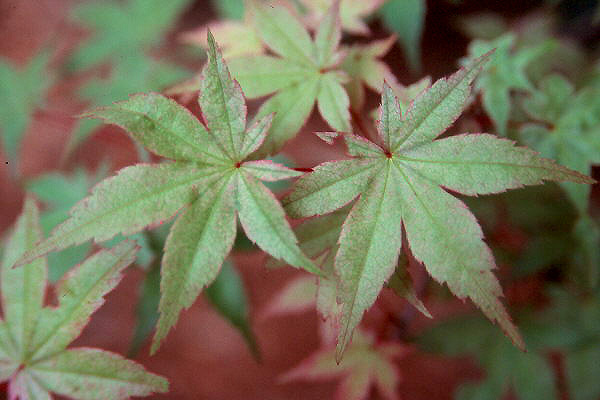 Shindeshojo or Shin Deshojo: shin, new and Deshojo, an earlier cultivar from which it was selected.